Max Verstappen was racing for the lead in Brazil. The Red Bull Racing driver has two wins so far in 2018, he was going for a third. However, Ocon was on fresher tires. F1 offers multiple compounds of tires, Ocon was on the softer of the options. Those tires are lightning fast but they have a greater and quicker fall off later on in a run. With the new tires fitted, Ocon was faster than the race leader. For the next 7 laps, he would be faster. Ocon moved to the outside heading into turn one. The went down the hill side-by-side. Heading into turn two, Verstappen shut the door on the lap car. But, doing so it took them both out. Verstappen spun from the lead and Lewis Hamilton went on to claim his 10th race win of the season. Verstappen held on to finish 2nd. 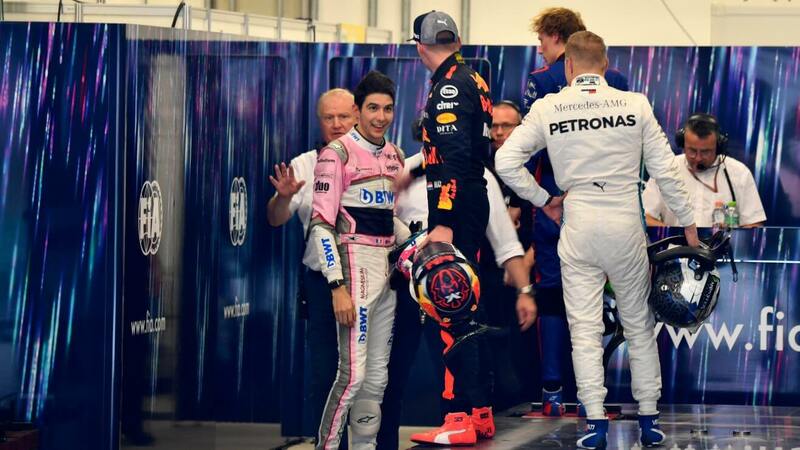 After the race, he went to the Force India garage area to locate Ocon outside of the car. A few words were exchanged and that resulted in several shoves. Ocon called for security as Verstappen continued to push him. “The team said, ‘Oh, you can un-lap yourself, if you want.’ So, I went around the outside. The same overtake I did on many other drivers,” Esteban Ocon stated after the race. “This is not professional,” Ocon concluded. Max Verstappen also commented on the post-race altercation. He stated that Ocon did not apologize. “[Drivers un-lapping themselves] has happened many times in the past, but of course you expect it to be done safely,” f1 race director Charlie Whiting stated after the race. “More to the point, it should be done cleanly and absolutely without fighting — you shouldn’t be fighting to get past. “If he’s got the pace then normally one would expect Red Bull to tell Max ‘Ocon has got the pace, let him through’, or that sort of thing. But it seemed he just went for it. F1 takes a larger issue with the physical contact in the garage area. As a result, Verstappen has been handed a penalty. “The Stewards understood from Max Verstappen that he was extremely upset by the incident on track during the race and accepted his explanation that it was not his original intent to strike Ocon, but that he was “triggered” and caused him to lose his temper,” read the official stewards verdict. The FIA is requiring two days of public service for Verstappen in the next six months.